An effective marketing strategy is essential since it gives the company an opportunity to increase its sales and customer base. In 2016 alone, the total spending on advertising in the US was $190 billion. Business advertising needs to be creative so that the customers can fully comprehend the message that the company is trying to convey. The success of any marketing strategy depends on the number of people who respond to the campaign. What better way to do so than by using advertising balloons. Everyone appreciates creativity and balloon advertising is a unique and innovative concept that grabs people’s attention. 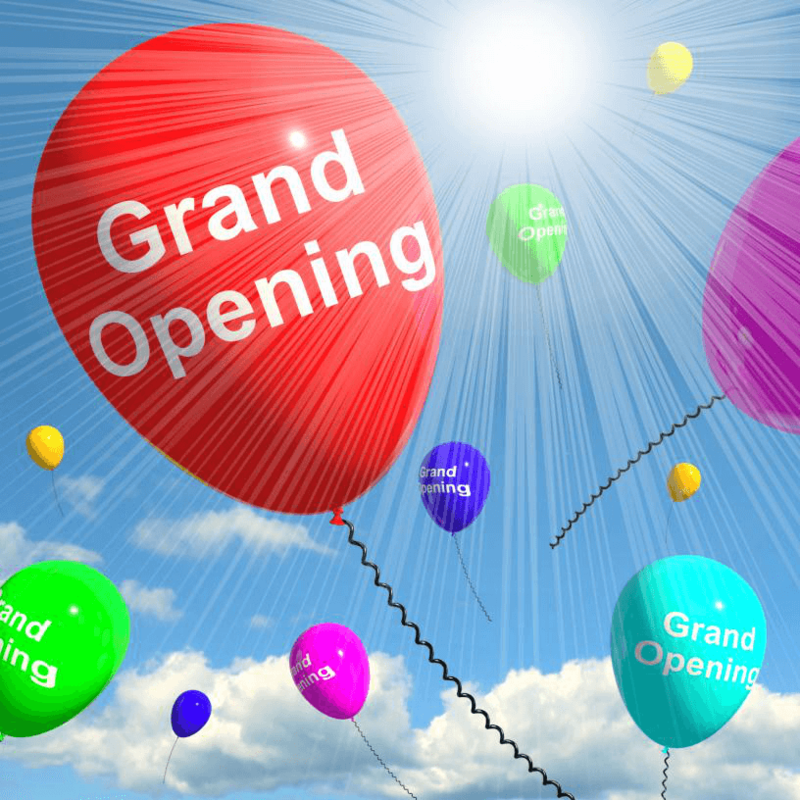 In addition to that, balloon advertising also leaves a lasting impression in people’s mind. 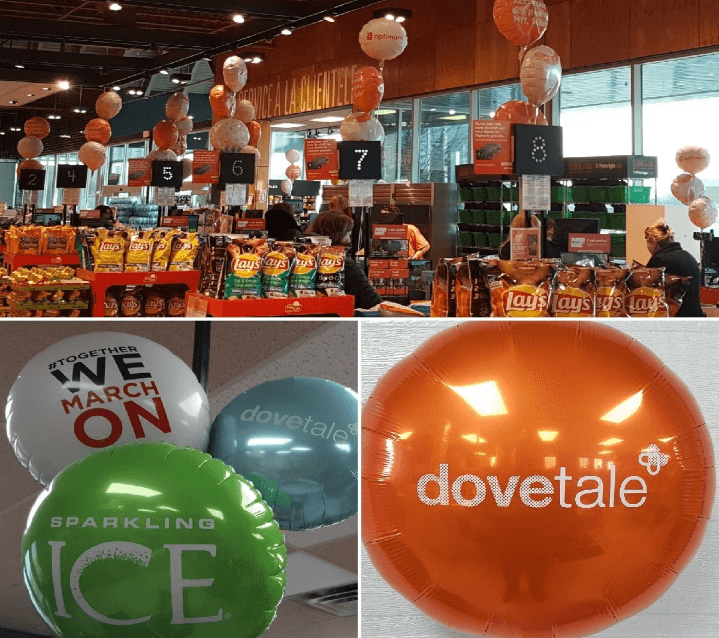 The key to any successful campaign is to make sure that customers remember it for several years to come—you can do just that with balloon advertising. Marketing and promotional events can be quite expensive. Most companies develop a budget and their goal is to make sure that they stick to it. One way you can do so is by using promotional balloons. This method is a lot more cost-effective when compared to traditional methods of marketing methods like print advertisements. The goal of any advertising strategy is to make sure that as many people notice the advertisement as possible. This is where Giant custom balloons come in. They have high visibility and an element of intrigue. 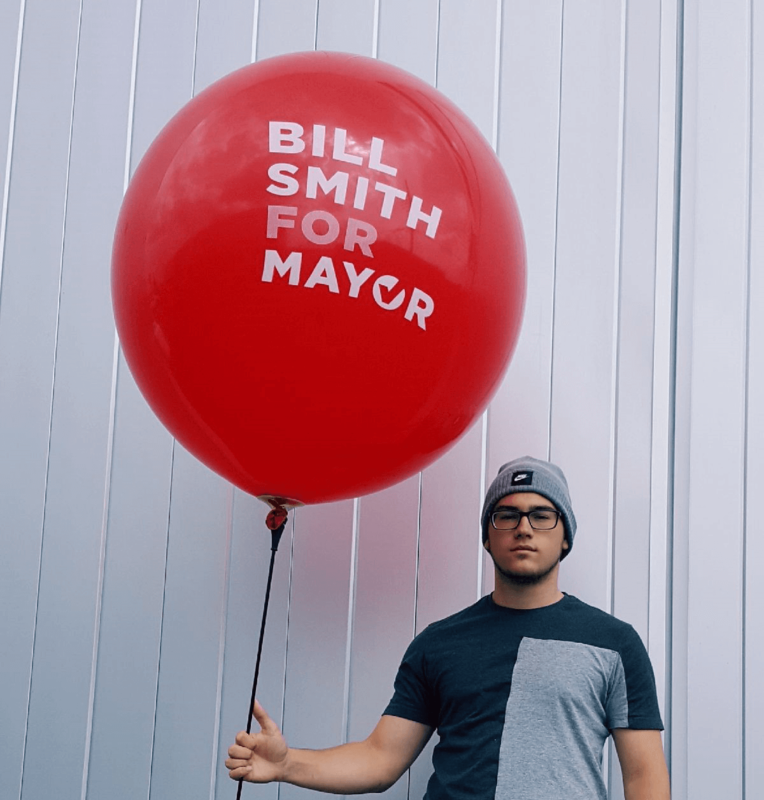 As soon as people see the balloon, the Printed Logo is immediately etched in people’s mind. These types of balloons are customizable and can be designed in any kind of size. Colors play a major role in marketing and advertising. For many brands and special events, color is an important part of their identity—for example, the red and white of Coca-Cola. The blue and black of Mercedes. You can use balloons with specific colors for the purpose of advertising. Colorful balloons are also a great choice from an aesthetics point of view and can make your event memorable. 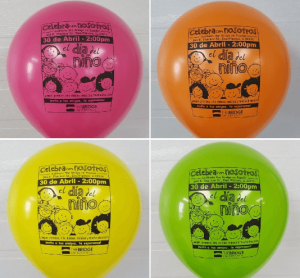 A major benefit of custom printed balloons is that they come in various types and shapes. In addition to that, you can also have the logo of your company printed on the balloon. We offer custom balloon printing for companies that operate all around the USA. 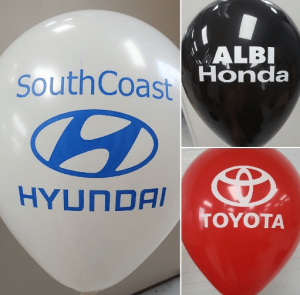 Companies that are looking to design balloons with logos can also contact us at 888-264-2550 for the fastest and friendly service.